Don't miss this opportunity to own an incredible Winter Park property just off of private Lake Killarney. 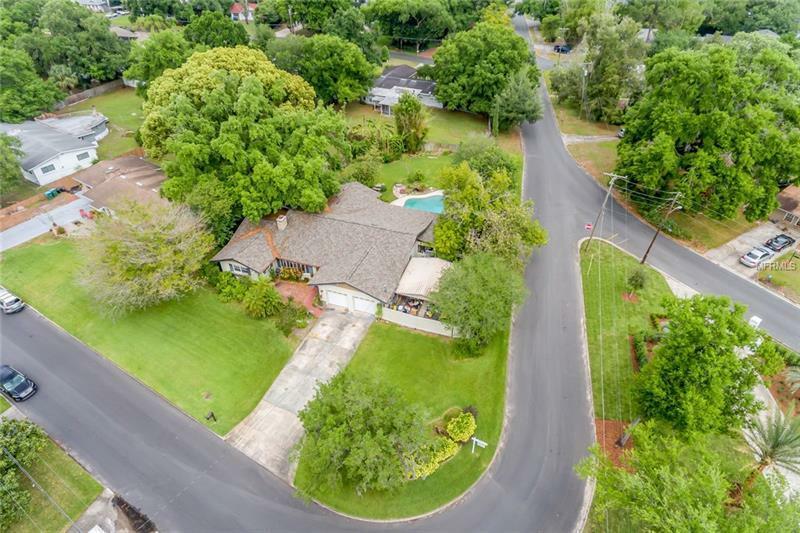 At over 17000 sq ft it is hard to find a lot this large in Winter Park or surrounding areas. The property is completely fenced in. No HOA! There is plenty of space for guests with the large driveway 2 car attached garage and double gate complete with 2 car carport in the side yard which would be great for storing your toys - boat RV cars you name it. The home also boasts a renovated kitchen fireplace pool covered lanai avocado trees and guest house/mother-in-law suite. The guest house includes a kitchenette walk-in closet private bath and is not included in the listed bed/bath count or square footage. The old kitchen is currently used as an office and could be used as the 3rd bedroom. The house also features a 2017 roof. Hardwood floors under the carpet. Last but not least this property includes shared deeded lake access with a 2nd parcel to private Lake Killarney. The central location of this property cannot be understated. Enjoy the Winter Park lifestyle as you are only minutes from downtown Winter Park Downtown Orlando I-4 17-92 and every amenity Winter Park has to offer. Be sure not to miss the virtual tour. Call your agent today!